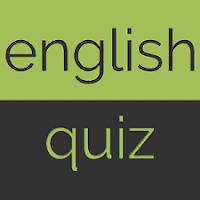 Dear Bank Aspirants practice English questions set Mixed Questions for IBPS Exam. Try to solve these Mixed Questions and share time taken to solve these Mixed Questions and share your attempt. In English section for IBPS - Comprehension, Cloze test, Fill in the Blanks , rearrangement, spotting errors play important role in preliminary exam. 1. You will find their homes adourned 1)/ with pictures of Hindu deities 2)/ and their immense respect for Hindu gods and goddesses even 3)/ when their religious practices are Islamic 4)/. All correct 5). 2. Oppressive working conditions have 1)/ steadily improved in the last 6 months 2)/, but more must be done to reduce 3)/ the amount of overtime that employees work. 4)/ All correct 5). 3. If Shreya could seen 1)/ the powerful women 2)/ in her party now 3)/, she would probably be tickled 4)/. All correct 5). 4. Obviously, this goes way 1)/, way deeper than 2)/ social awkwordness 3)/ or inept phraseology. 4)/ All correct 5). 5. The musical faternity 1)/ at large does not feel it necessary to give karnatik music, 2)/ especially its compositional forms, 3)/ a purely aesthetic thought. 4)/ All correct 5). 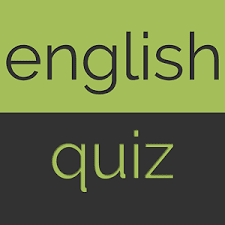 Directions : Rearrange the following seven sentences (A), (B), (C), (D), (E), (F) and (G) in the proper sequence to form a meaningful paragraph and then answer the questions given below. 7. Which of the following would be the Last (SEVENTH) sentence after rearrangement? 8. Which of the following would be the FOURTH sentence after rearrangement? 9. Which of the following would be the SECOND sentence after rearrangement? 1. 1; The correct spelling is adorned. 4. 3; The correct spelling is awkwardness. 5. 1; The correct spelling is fraternity.